The application deadline for the Environmental Quality Incentives Program (EQIP) in Washington state has been extended to October 16, 2015. The USDA Natural Resources Conservation Service (NRCS), which operates the program, says that eligible producers, including forest landowners, now have until October 16 to submit applications for consideration in fiscal year 2016. The original deadline was July 17, 2015. Producers should also expect to work with NRCS to write a personalized conservation plan before funding is authorized. The voluntary federal program provides technical and financial assistance program to farmers who want to improve irrigation efficiency; manage run-off of nutrients or animal waste; improve the health of native plant communities; and reduce soil losses. In most instances, producers who participate in the program pay for roughly half of the costs of the conservation measures or practices. EQIP Local Working Group funding pool: Funding for regional priority resource concerns identified by counties. EQIP Organic Initiative: Helps organic farmers, ranchers and dairy operators and those transitioning to organic production in Washington state to plan and install conservation measures such as buffer strips, conservation crop rotation, cover crops, field borders, mulching, nutrient management, and other steps. EQIP High Tunnel Initiative: Financial and technical assistance for agricultural producers to plan and install seasonal high tunnels to extend the growing season and improve soil health. EQIP Conservation Activity Plans. Plans can be developed for producers to identify conservation practices that address a specific natural resource needs. EQIP Energy Initiative: Helps producers conserve energy on their farms through on-farm energy audits. EQIP Sage Grouse Initiative: Helps private landowners to voluntarily protect sage-grouse populations and habitat on their working lands. “Extending the deadline will give producers more time to complete their applications and have a greater chance of getting conservation funding during this fiscal year,” said Assistant State Conservationist for Programs, Jeff Harlow. While NRCS programs operate on a year-round signup basis, and producers can file applications at any time, periodic ranking deadlines are established so applications on file at that time can be evaluated for the next available funding allocation. Applicants must provide a Data Universal Numbering System (DUNS) number, be registered in the System for Award Management (SAM), and maintain an active registration with current information prior to applying for funding and to remain eligible for payments under a funded contract. For more information regarding SAM and DUNS, or if interested in applying for EQIP funding, contact your local NRCS field office. Designated forest land is a property tax assessment option that has some advantages for forest landowners. Normally, real property in the state of Washington is taxed based on an estimate of its fair market value, which should reflect what is called “highest and best use” (HBU): the most economically advantageous use of the land (often real estate development). With the designated forest land option, the taxable value of forested land is assessed for forestry use, which is a much lower value. This option was established by the Washington state legislature in the 1970s (Revised Code of Washington, 84.33). The purpose of the designated forest land option encourage landowners to keep their land in forest use and reduce the economic disincentives for doing so. The legislature recognized that productive forest lands provide a multitude of public benefits such as water supply, soil protection, stormwater management, wildlife habitat, aesthetics, recreation opportunity, ecosystem health, and jobs (Revised Code of Washington, 84.33.010(1)). The assessed value of designated forest land is set in statute and in 2014 ranged from $1/acre to $189/acre based on soil productivity and operability, which takes into account the ease and cost of timber extraction. Current values can be found on the Department of Revenue (DOR) website. In contrast to these values, assessed market values could be thousands of dollars per acre. Designating your land as forest can reduce the tax burden by up to 99 percent on the forested portions of your property. The assessment of the residential (e.g. home site) portion of your property and any structures would not see a reduction. To be designated as forestland, the land must be at least five contiguous acres of forest (which can comprise multiple adjacent parcels), not including any residential portions. Typically, a minimum of one acre is excluded from the designation when there is a residence on the land. Thus, landowners living on their property should have at least six acres total, five of which must be forest. The law specifies that land designated as forest must be “devoted primarily to growing and harvesting timber” (Revised Code of Washington 84.33.035(5)). Those who are primarily interested in managing their forestland for aesthetics, recreation, habitat, etc., or do not intend to use their land for timber production for other reasons should not enroll in this option. At the discretion of the county assessor, a written timber management plan may be required when enrolling or selling designated forestland. 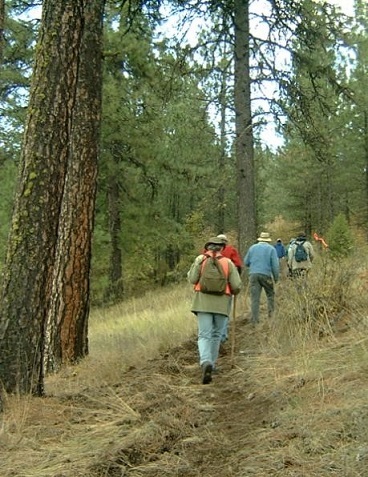 To help landowners weave their way through the various requirements, WSU Extension designed its Forest Stewardship Coached Planning classes to help land owners write their own qualifying timber management plans. Land owners may also opt to hire a consultant to write the management plan. The acreage minimum for designated forest land used to be 20 acres. However, the law changed in 2014 to reduce the minimum to five acres. Until 2014, a separate-but-similar program — open space timber —was available to landowners with five or more acres. The purpose of the law change was to streamline and simplify things by not having two separate programs. Counties are not required to eliminate their open space timber programs, but they are given the option to do so. 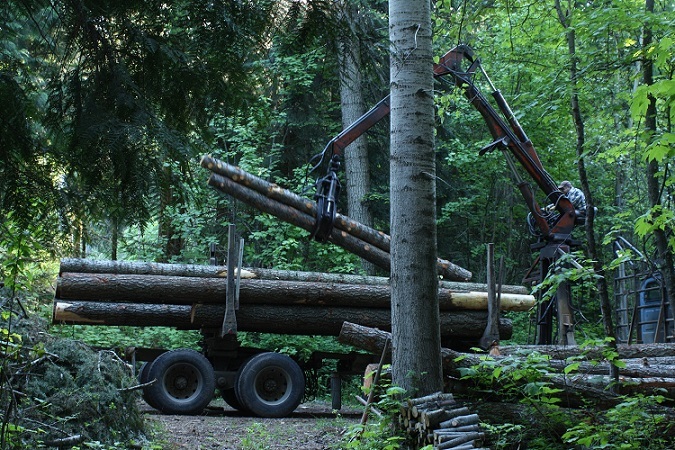 In many counties, landowners may receive a notice from the county assessor that their land is being transferred from open space timber to designated forestland. This does not change the landowner’s tax benefit or otherwise have negative impacts, so landowners who receive this notice should not be concerned. While designated forestland has its basis in state law, it is administered at the county level by the assessor’s office. Application must be made by December 31 for consideration the following year. If the county does not make a decision about an application by May 1 of that following year, it is automatically considered approved. If the application is approved that following year, the property will be assessed that year at the new, lower rate for taxes that will be payable in the year after that. For example, if you apply for forestland designation before December 31, 2015, and it is approved, your property will be assessed at the lower forestland value in 2016 for taxes payable in 2017. The first year of lower tax payments would be 2017. Those who have a forestland designation but wish to remove it are likely to face another tax: known as compensating tax. This tax is calculated by taking the tax difference between the designated forest land assessment and the full value assessment in the year that the designation is removed and multiplying by nine years, or however many years the land was enrolled, if fewer than nine years. Because this can be a significant tax amount, landowners should carefully consider their long-term plans before applying to classify their property as designated forest land. If a landowner is not committed to managing the land for timber production for at least ten years, this designation might not be a good option. Designated forest land can be sold and can retain the designation so long as the buyer agrees in writing to continue managing for timber production. This agreement is called a continuance. The county assessor may require the buyer signing a continuance to submit a new timber management plan. If the buyer declines a continuance, the seller must pay the compensating tax to the county before the sale can be recorded. Some have raised objections to the program, claiming that decreasing the tax burden on forestland effectively increases the tax burden on other lands in the county. Others, however, note that forestland owners are expected to provide many public benefits with no compensation and also have many regulatory constraints imposed upon them by the public. Furthermore, studies of the cost of community services have found that forestlands contribute more in taxes than they cost in public services (a median of $0.37 in services required per $1.00 of revenue produced), while residential lands cost more in public services than they contribute in taxes ($1.19 in services required per $1.00 of revenue produced), according to a 2007 report by the American Farmland Trust. Thus the issue of equability is subject to debate. Sponsored by the US Forest Service, American Tree Farm System and Woodland Owners Association, timbertax.org provides access to numerous webinars as well as forms and guidance from 50 states.